Jerome this is whimsical and thoughtful. L/f and following! Beautiful! Congrats on your sale, Jerome! This is so lovely , congratulations on your sale . great work ! Love it! GOOD NEWS! 16 x 20 Stretched Canvases of this art are NOW AVAILABLE FOR $74. at the LIMITED TIME PROMOTIONS section of Shopping. A GREAT DEAL. Loving all things giraffe, this is gorgeous. Ramon, thank you for the comment and vote! 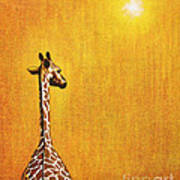 See my New Giraffe Painting: "The Kiss" -- a companion piece. "Giraffe Looking Back" is now available in LARGER SIZES. 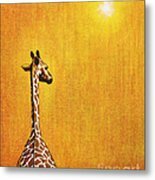 This was my first Africa painting - a simple, solitary Giraffe looking back -- which has become my MOST POPULAR image and BEST SELLER! 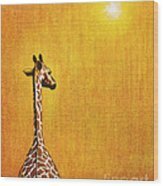 I have found that this pose is very thought provoking: "Why is the giraffe looking back?" "What is he thinking?" This image has gradually become very popular. The Original Oil Painting is now SOLD. This image looks especially good on canvas. 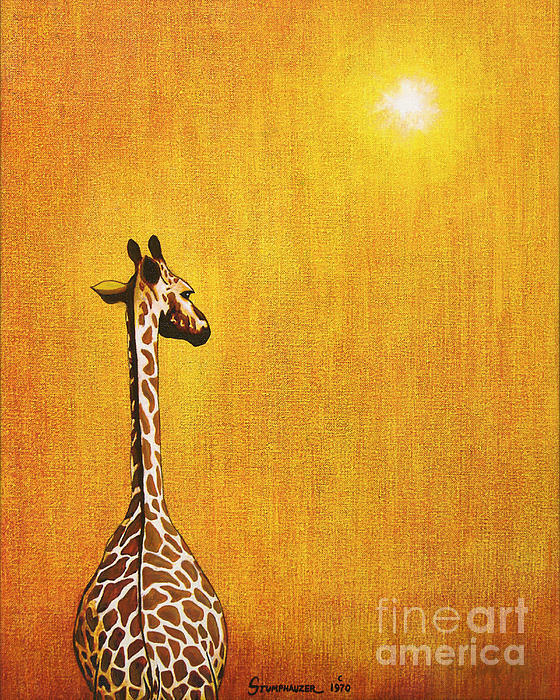 NOTE: See my "Neon Giraffe" version of this painting and now "Tall Giraffe Looking Back," a re-edited version of this art so that larger prints can be purchased. There is another re-edit with 3 of these giraffes titled "Three Amigos Giraffes Looking Back."